Thistle Hill Botanicals Soothing All Natural Fabulous Healing Salve belongs in Everyone’s medicine Cabinet or Refrigerator. Mine is in the refrigerator, it keeps forever that way and it feels great when applied cold. 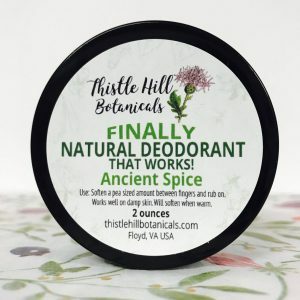 This salve can be used in so many ways. 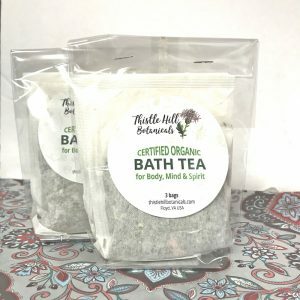 It is one of the first products that I produced over ten years ago while vending at farmers markets. Rub on a little and let it go to work to help with itchiness and healing. All of our herbs are responsibly wildcrafted or cultivated and always certified organic. 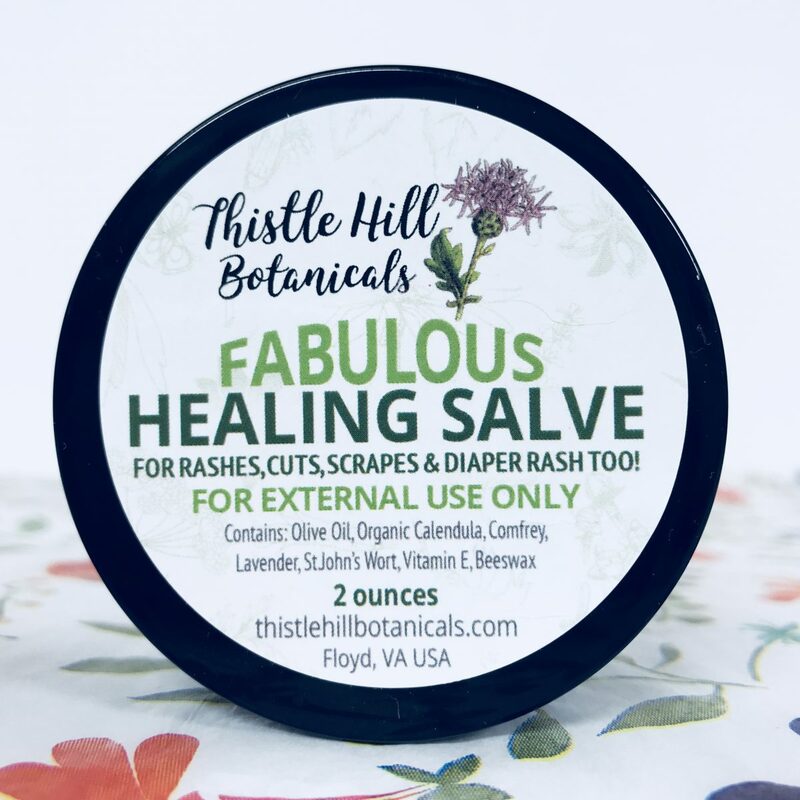 Soothing All Natural, Fabulous Healing Salve is great for SO many things! You just rub on a little and let it go to work to help with itchiness and healing. Your Fabulous Healing Salve arrives in a 2 ounce, 100% reusable and recyclable BPA-free emerald green container. 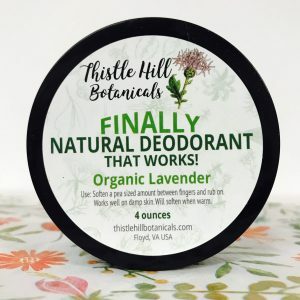 We produce all of our products with love in Floyd, Virginia USA in the heart of the beautiful Blue Ridge Mountains where the air and water is clear and there are more cows than people..
Full ingredient list: Olive Oil, Calendula, Comfrey, St John’s Wort, Vitamin E, and Fresh Natural Luscious Beeswax. For external use only. Made in the mountains of Virginia where the air and water are clean and there are more cows than people. I’ve only had this product less than a week but I’ve already used it on a few minor scrapes. I am very impressed! Withing the first minute of applying there is a VERY tiny “burning” sensation but it quickly dissipates (within a few minutes or less – nothing to be bothered about) and the healing begins!! So soothing, and I’m amazed at how fast my scrape healed (pretty much a day or two). I like the scent, too. Totally recommend this! Lavender/Rose Spa Sugar Scrub 8 oz.